Very Good. 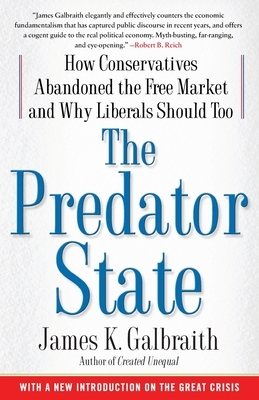 Highly regarded economist James Galbraith presents a full-bore attack on the bankrupt economic policies of the Republican Party-and a much needed reality check on where to go from here. Glued binding. Paper over boards. With dust jacket. 221 p.
Good. Highly regarded economist James Galbraith presents a full-bore attack on the bankrupt economic policies of the Republican Party-and a much needed reality check on where to go from here. Glued binding. Paper over boards. With dust jacket. 221 p.
Fine. 141656683X Ships from Tennessee, usually the same or next day. Great history and summary of current economic conditions. Terms, ideas well defined. Very readable for mainstream readers and experts in the field of economics.